Hannah Richardson, Junior Associate, is the newest employee of State Services Organization. 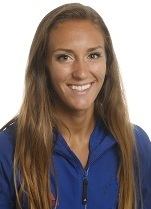 Hailing from St. Louis, Missouri, her passion for running took her to the University of Kansas. While there, she obtained an undergraduate degree in exercise science and a master’s degree in sport management. After moving to Washington, D.C., she began pursuing a career in non-profit management. Hannah is excited to begin her career with State Services Organization. Hannah's portfolio at SSO includes working closely with several non-profit client organizations, their members, volunteers, and Officers and Directors. She offers client’s frontline membership support and financial and administrative management, assists in event planning, leads marketing, communication, website and creative design projects, and collaborates with SSO’s full association management services team on strategic and long-term planning.